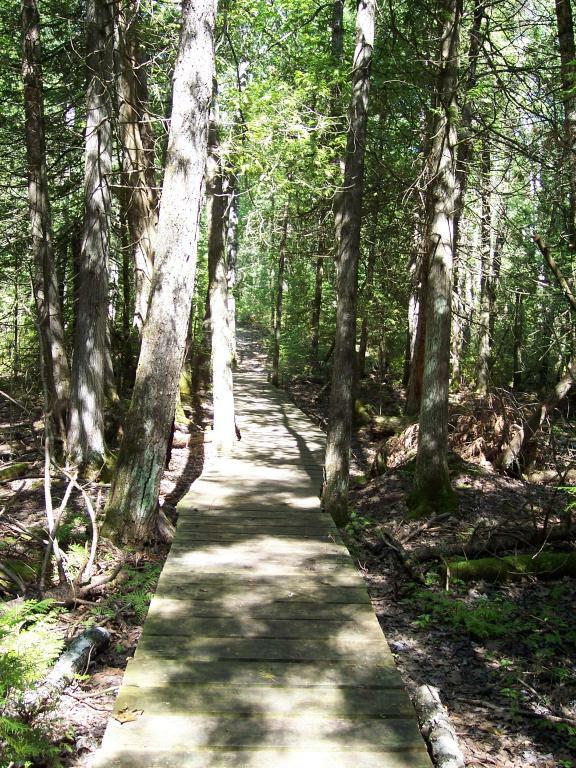 Cheboygan State Park has a system of well-marked trails that provide access to scenic Lake Huron vistas and glimpses of rare wildflowers. Cheboygan Point Light One of the main focal points of the park is the site of the Cheboygan Point Light. Visitors will find the foundation remains of this once operating lighthouse. In 1851, the Cheboygan Point Light was originally built on a pier in Lake Huron, but due to rough water and winter ice, it only lasted a few years. In 1859, it was rebuilt on the shore and was in operation until 1930 by the United States Lighthouse Service. It was at this time that the lighthouse and surrounding properties were conveyed to the State of Michigan for public park use.